How does a person go about finding their soul? First of all, it was never lost. It is just that most people haven’t tried to connect with it and they have never had anyone guide them in how to do it, so it has remained a mystery to most. Because the soul is not physical it does require some time to refine a person’s sensitivity to subtle indications of its presence. It is difficult to find your soul with the five senses or scientific instruments…at least not yet, but that may be possible in the future as science finds ways to detect subtle energies. The way you go about finding your soul is to start with the intention to discover it and connect with it. This can best be done with the eyes closed in a meditative state. In the beginning, the biggest challenge is to get the mind to calm down so you can sense what is going on below its activities. The mind throws up questions and doubts and tries to analyze the situation. A person probably won’t notice anything in the beginning stages of making the soul connection, but with practice over weeks, or in some cases months, one learns to be more aware of its presence. 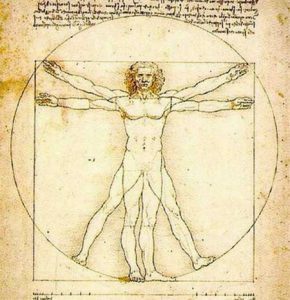 For instance, we are generally not aware of the sensations of the clothing in contact with our body, but when we put our attention on it we become aware of it. Unless we are in an extreme temperature we usually don’t think about what the temperature is either, but if you put your attention on it you can become aware of the temperature. The way I did it was I started with the simple statement, “I feel my soul,” and I repeated it many times with my eyes closed like a prayer while in a meditative state. I didn’t feel anything at first but by repeating that statement many times over a number of weeks I eventually noticed I was becoming aware of a subtle presence. You know how you can sometimes sense when a person is standing next to you even when your eyes are closed? Well, that is similar to how I began becoming sensitive to the soul, and I then discovered that the more I put my attention on it the more aware of it I became. The soul has a quiet, peaceful presence. When people first make contact they may have a variety of sensations such as a mild vibration in their body, or a ringing in their ears, or a warm feeling, or a tingling sensation, or simply a deeper sense of peace than what they have been familiar with before. Like any skill, it just takes practice. How Does The Soul Solution Help You Find Your Soul? The Soul Solution is a method of connecting with the soul and integrating its qualities and awareness into everyday life. The soul solution makes use of a 3 step process of identifying and clearing what is not working positively. (1) Step one is discovering the components that make up the struggle, suffering, problem, or lack. This is the most important part of the process because, for the most part, we only clear and release what we are aware of and what is undiscovered continues to have an influence on us. In addition, much of what causes the experiences in our life arise from unconscious or subconscious realms. While some issues have obvious causes there are usually more subtle influences that are not as obvious. So it can take some time to discover all the patterns and programs that are the cause of conditions. What are some ways to reveal the causes? a. Pay attention to what you tell yourself in the privacy of your own mind. This is called Self Talk. Everyone has inner thoughts that they don’t say out loud and most people have this going on most of the time. By paying attention to these thoughts you can discover your beliefs about situations. b. Another way to get in touch with causes is to pay attention to how a condition or situation makes you feel. How does the situation make your body feel? Where do you feel it? Is your body tight? How do you feel emotionally about the situation? c. A third way is to ask yourself questions about the situation. What do I believe about it? Why do I think this way? What opinion do I have about the situation or people involved? Do I blame myself or anyone else? You can see that these explorations can take some time and you shouldn’t expect to do it all at one time. Once you start the process more and more information and insights will reveal themselves to you over days or even weeks. 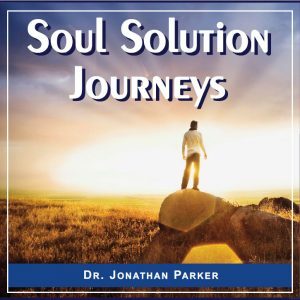 What is the second step in the Soul Solution Method? 2. The second step is much easier than the first. In this step you ask yourself, “Who is it who is having this experience?” At first, I know that can seem like a strange question, but the answer to that question can be only one of two answers: the soul, or some component of your personality which is called a sub-personality. The sub-personality is not your true self and therefore you can say, “The real me that lives in this body is not the fear, anger, depression, or whatever the reaction is.” Since it is not the real you it can be released and let go because it is just something created in the mind. It may feel real, but it is a fabrication of the mind through its judgments and opinions. You can start letting go by reframing the way you refer to the issue. Instead of saying, “I feel so mad about this.” Say, “The ego is feeling mad about this.” This shift disengages you from identifying with the issue. 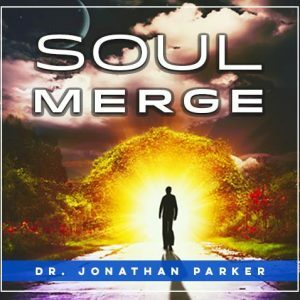 What is the third step in the Soul Solution Method? 3. The third step is to integrate the soul’s presence and qualities into the issue and your reactions to it. You do this through holding the intention for that to take place. The soul responds to your requests and intentions. This part of the process is best done in a meditative state, and the book has many self-guided meditations to help with this.